Oh, that heavenly aroma of baking bread! Who can resist a warm slice of this rustic einkorn sourdough bread, fresh from the oven and slathered with butter? It is an unbelievable treat! We made our sourdough bread with 100 percent einkorn flour which makes the flavor and texture of this sourdough bread beyond awesome! The long slow fermentation of sourdough makes a bread that is healthier and so much more delicious. Using the healthy ancient grain of einkorn amplifies the flavor and healthiness of sourdough bread. 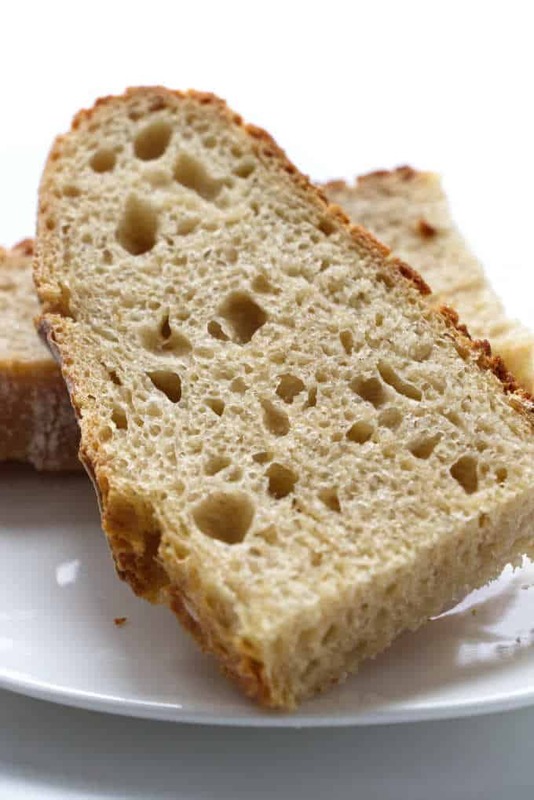 Here are a few tips to make this sourdough einkorn bread. Feed and ripen your sourdough starter. Before you start, make sure your sourdough starter has been fed and had time to ripen. It generally takes between 4 to 8 hours for your starter to ripen after you feed it. That time will differ based on your personal starter, the temperature, the weather or the type of flour. You just have to get familiar with your starter and you will have a better idea of how long it will take. How do I know when my starter is ready to use? After you feed your starter, the hungry little yeasts will begin to feed and produce gassy bubbles. All those gas bubbles will make your starter “grow”. Eventually, it will double in size and reach its peak then it will start to fall back down. At the point that your starter has reached its peak and begins to fall, you know that the hungry little wild yeasts have run out of food. This is when it is time to use your starter in the recipe. What if I don’t have an einkorn sourdough starter? If you don’t have a starter made of this ancient-grain einkorn flour you can still make this sourdough einkorn bread with a regular wheat flour sourdough starter. You have a couple of options if you have a starter that is made with regular wheat. 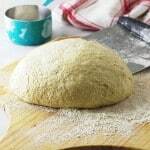 Your first, and easiest option is to simply use your starter after you feed it with regular flour, then continue making the bread with the einkorn flour. The sourdough bread will have all einkorn flour EXCEPT for the flour you use in the starter. Your second option is to feed your starter several times with einkorn flour. Each time you feed your starter with einkorn flour it will have a greater percentage of einkorn. By the time you have fed your starter the fourth time, it will have over 93 percent einkorn. Wondering how that works? Keep in mind that each time you feed your starter, you will remove half of the starter and replace it with an equal amount of fresh flour and water. So here is the breakdown of the percentages of einkorn the starter will have after each feeding. For more information, you can read how to care for your wild yeast sourdough starter. The first feeding it will have 50% einkorn flour. Second feeding it will have 75% einkorn flour. Third feeding it will have 87.5% einkorn flour. Fourth feeding it will have 93.7% einkorn flour. Fifth feeding it will have 96.8% einkorn flour. Whether you use a regular wheat flour starter or an einkorn flour starter, the bread will turn out the same so it really depends on how close to pure einkorn you want your bread to be. Make sure you have enough starter. When you feed your starter, make sure you feed it with enough flour and water to make this recipe PLUS have some left over to continue maintaining. This sourdough einkorn recipe calls for 180 grams of starter so make sure you have more than 180 grams available. After you add the 180 grams of starter to your recipe, set the leftover starter aside, feed it, let it sit for an hour or two, then store it in the fridge until it is time to feed it again. If you’re going to bake another batch of bread right away then don’t put it back in the fridge, just keep it out and build it up for the next batch of bread. This recipe calls for a 100% hydration starter. That means it has equal amounts (by weight) of flour and water. 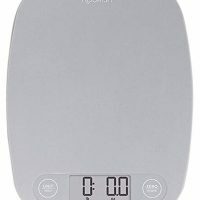 Use a scale for best results. 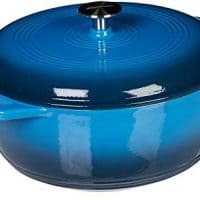 I have written this recipe with both volume and weight measurements because, without the volume measurements, I always get bombarded with emails requesting measurements using cups. I get it, that’s how I started out baking and I made a lot of bread that way. 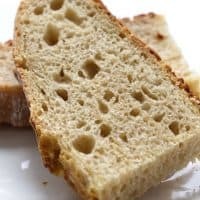 You can make this sourdough einkorn bread using cups instead of a scale but if your serious about baking and want to have consistent results, get a kitchen scale. Keep in mind that as the starter builds up gas bubbles, it will double or even triple in volume. So 1 cup of unfed starter will weigh more than 1 cup of fully ripe, bubbly, gas-filled starter. If you do use measuring cups to measure the starter, make sure you stir the starter and knock out all the gas bubbles before you measure it. Einkorn flour can be a little bit tricky to work with. Primarily, it makes a stickier dough that can be a little more challenging to shape. If you keep your hands wet or well-floured, the dough will be easier to shape. The recipe calls for a range of water amounts. If you use the smaller amount of water, the dough will be easier to shape. 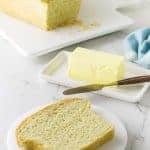 If you use the larger amount of water, the final bread will have a softer, lighter texture but the dough will be a bit more challenging to shape. I recommend that if you’re just starting out with einkorn flour you may want to make a lower hydration bread the first time. 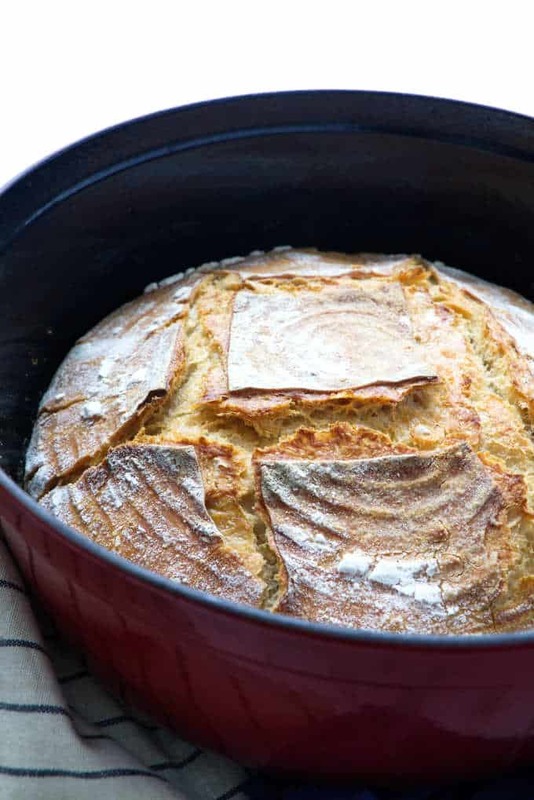 Did you make this recipe for sourdough einkorn bread? We would love to hear from you. Drop us a comment below. 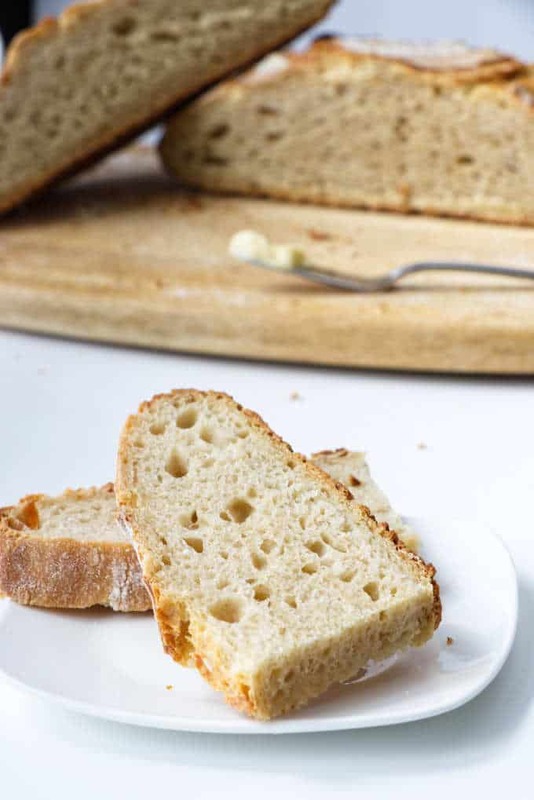 A delicious rustic sourdough einkorn bread recipe that uses a natural sourdough starter. The ancient grain einkorn creates an amazing depth of flavor. This is real bread with real flavor. This recipe is based on a 100% hydration starter. Make sure the starter has been fed and is fully ripe or at it's peak when you use it. Make sure you have enough starter to use in this recipe and still have enough left over to continue maintaining. Let the dough rest for 10 to 15 minutes then fold it in half 3 or 4 times. Repeat another 10 to 15 minute rest and fold it again 3 to 4 times. 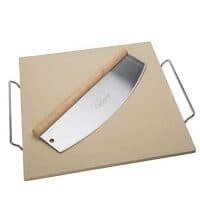 You don't have to knead einkorn because the gluten in einkorn will not strengthen with kneading but the resting and folding process will help strengthen the dough. At this stage, it will be wet and sticky. Don’t add more flour or your finished bread will be dense and heavy. If you get your hands wet, the dough won't stick as easily. Let the dough rise again a second time in the fridge overnight for 10 to 15 hours. It should be almost doubled in size. For best results, weigh the ingredients with a kitchen scale. Using measuring cups can significantly change the final outcome of the bread. If you use a Brotform proofing basket give the basket a very generous dusting of flour. Regular flour will absorb too much of the moisture and make the dough stick to the brotform. We recommend making a 50/50 blend of rice flour and einkorn flour to dust your Brotform. 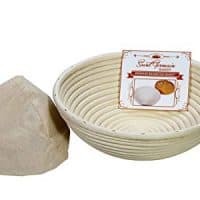 If you don't have a brotform basket, you can use a bowl or a colandar to proof the bread in.